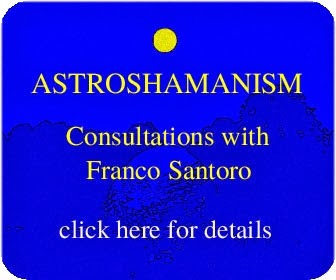 On Monday, 29 July 2013, we have once again one of those rare “Grand” astrological configurations in the sky, which this time is called Grand Sextile. A Grand Sextile occurs when six planets are distributed sixty degrees apart from each other (sextile aspect). This also includes two Grand Trines, which are two groups of three or more planets 120 degrees from each other (trine aspect). Sextiles and trines are considered easy, or positive astrological aspects. Planets in sextile and trine possess a spontaneous disposition to operate in harmony together and creatively unite their energies, no matter how different they are. Sextiles provide an ordinary ease and mutual helpfulness in the interaction of the planets involved. Trines amplify this easiness, bringing a deep natural acceptance, flow, common focus and graceful manifestation of tangible results. All the planets involved in the configuration on 29 July are in either water or earth signs: Moon in Taurus, Venus in Virgo, Mars and Jupiter in Cancer, Saturn in Scorpio, Neptune in Pisces, Pluto in Capricorn. 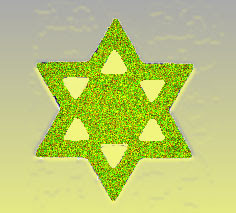 The geometric pattern created in the sky is the Star of David, also known as the Seal of Solomon. The last time a Grand Sextile occurred was 7 February 1945, towards the end of World War II. There is a large variety of material available online, providing abundant details on this event and its meaning. Simply google “Grand Sextile July 2013” and you will see. Hence what follows is just one reflection amongst many. As we have seen, planets linked by sextiles and trines are naturally comfortable with each other. They work extremely well together. The problem is that their harmony is so grounded and obvious that it can be easily disregarded or become unconscious. This is the case if we pay more attention to what is uncomfortable, miserable and painful in our life. Unless we purposefully and regularly acknowledge those truly loving energies, which are always available to support and help us, they will fade and disappear, simply because we don't want to see them. Unless we say "yes" to those energies and invite them to be part of our life, aligning them with our highest purpose, they will be used by others, who know what to do with them. The Grand Sextile gives us the luminous opportunity to make an inventory of what flows and is easy in our life, versus what is stuck and hard. It also brings awareness on our best natural talents, how we can easily manifest them, if we only give them a try, and also how we can be truly helpful for others who wish to to the same. The Grand Sextile is about easy, effortless and spontaneous cooperation, natural synergy and communal spirit. People and groups in natural alignment come together very easily, and when they do, energy flows at its best, and so much is achieved, peacefully and effortlessly. The paradox here is that what makes all this very difficult is the fact that it is too easy. Our human tendency is to seek conflicts, competition, struggle and drama, drawing more attention towards critical people and situations, what is wrong in our life, while disregarding what is good and easy. In order to embrace the Grand Sextile we need to develop the deep understanding that nothing is permanent and pain is unavoidable in life. This implies releasing the illusory expectation that there should be no conflict and suffering in our life, unless we have done something wrong or something wrong has been done to us. This expectation is the cause of all pain in our world. It leads to self-pity, victimhood, resentment, anger and inevitably violence on others. It also leads to depression, guilt, search for punishment and violence on ourselves. All the above takes huge amounts of energy. We need to release it. We need to stop doing so much to prevent what will never change. Hence, please, give it a try, this Monday 29 July 2013. Just for one day, forget whatever and whoever keeps causing troubles, obsessions and pain, no matter how loving, desirable, beautiful, intelligent and even spiritual it is. Stop anything that requires endless effort and strife. Simply slow down and breathe. Then take time to look around, acknowledging whatever and whoever in your life is truly there for you, though you may have rarely been aware of it. Consider who accepts you simply as you are, those you don’t need to prove anything for they just resonate with you, and you with them. Also, slow down and still look around. Be ready to welcome new people and situations, whatever and whoever is just waiting for you and you for them. Be with whatever and whoever is just happy to be with you, simply for what you and them are right now. For details on individuals consultations please click here. For details on programmes please click here. This is the best take and advice on the Grand Sextile that I have read. Brilliant practical interpretation and advice, Franco.